Over the past few decades, the Arctic region has warmed more than any other on Earth. The Greenland Ice Sheet is losing mass faster than ever before, and is expected to keep melting with consequences for global sea-level rise and ocean circulation. 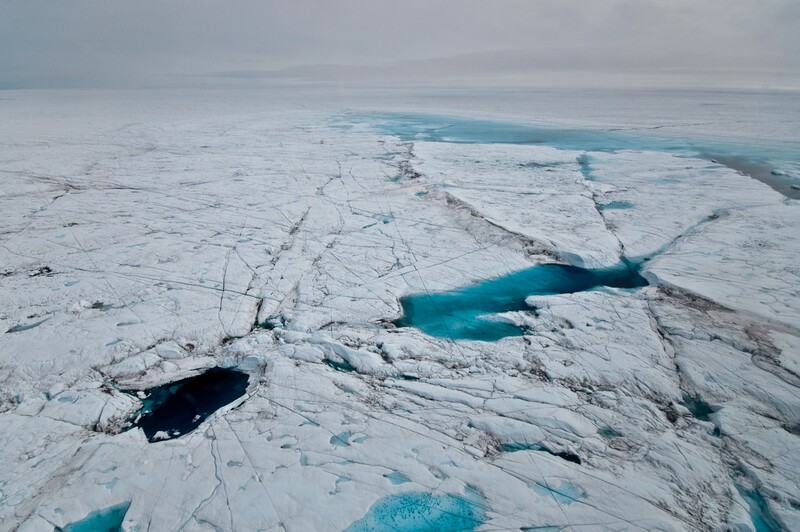 At a media briefing, during the EGU’s General Assembly in April (stream it here), researchers presented new results on the factors that influence the Greenland Ice Sheet’s rapid and profound changes – from glacial lakes to clouds and snow darkening. 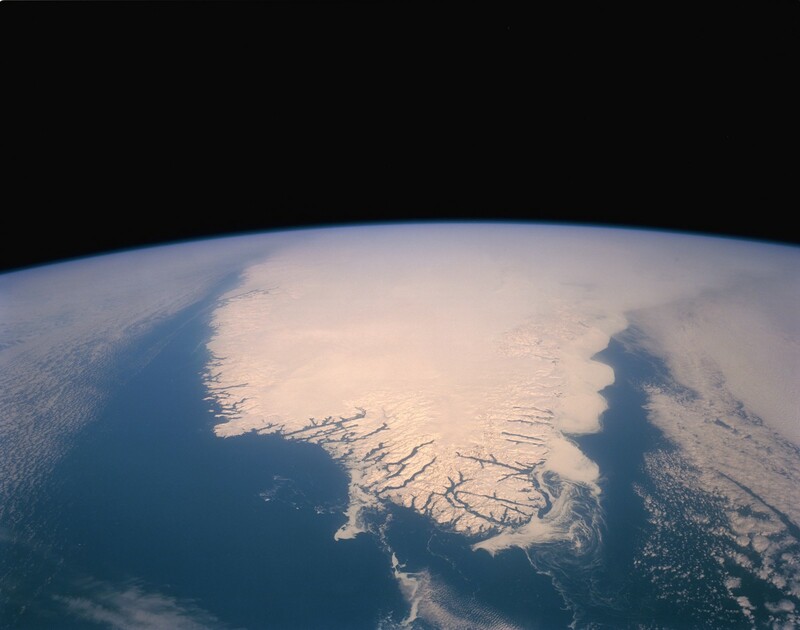 The vast expanse of the Greenland Ice Sheet covers an area of 1.71 million km2 (approximately a tenth of the size of Russia), and holds a staggering volume of ice: 2.85 million km3. The ice sheet is only rivalled in size by one other: the Antarctic Ice Sheet. Scientist have calculated that the Greenland Ice Sheet stores enough freshwater to raise sea level by 7.4m, should all the ice melt, so understanding what causes the ice to melt now and in the future is critical! When you think of clouds, you probably think of them as purveyors of rain and bad weather. But that is not all; clouds form an intrinsic part of the climate system which is more complex than simply how they affect day to day weather. In Greenland, (as elsewhere across the globe), clouds are a source of precipitation, bringing all-important snow which accumulates on the ice sheet and makes it grow in size. Clouds also affect temperatures: on a clear day you’ll feel the warmth of the sun on your back, but as night falls temperatures start dropping quickly as heat is lost to the atmosphere. However, if in the late afternoon the clouds started rolling in, the night would be warmer, as clouds stop heat being lost to the atmosphere. If they stick around long enough though, they promote cooling, as they reflect sunlight away from the Earth’s surface. “On a global scale, clouds (on average) tend to cool the Earth’s surface, but there are many regional differences”, explained Kristof Van Tricht,(a PhD student at the University of Leuven in Belgium), during the press conference. It turns out that, in Greenland, the warming effect of clouds dominates, and warming of the surface encourages melting of the ice sheet. However, the remoteness of the area means that direct observations of just how much the clouds warm the surface and to what extent this impacts on the ice sheet has been limited. Until now. Using satellite observations, Van Tricht and his team have been able to study the warming effect of clouds in more detail than ever before. Their models show that, in the presence of clouds, the Greenland Ice Sheet can be up to 1.2°C warmer, which can cause substantial melting. Compared to models ran without cloud cover, the ice sheet could melt up to 38% more. This equates to 12% more runoff from the ice sheet into the oceans, solely due to the presence of clouds. Predictions of what the findings mean for the ice sheet in the future are tricky though. The scientists’ model is based on real-time observations and so it isn’t possible to look into the future. For that, improved cloud model simulations are needed. Lakes form, seasonally, on the surface of the Greenland Ice Sheet as a result of run-off water pooling in depressions in the ice. Although beautiful to look at, because they are darker than the surrounding ice, they attract more heat. The lakes also drain sporadically, and when they do, some of the water they hold drains through the ice making its way to the base of the ice sheet. Once there, the water lubricates the base of the ice sheet and promotes it to flow more easily and quickly towards the ocean. Combined, these two effects affect the dynamics of the ice sheet. Drained Supraglacial Lake Bed. This lake has drained through the bottom for several years in a row. The large block was initially formed in summer of 2006, but large cracks run through it from subsequent lake drainages. At present, the lakes generally form within the ablation zone – the low-altitude regions towards the edges of the ice sheets where ice is lost through melting, evaporation, calving and other processes – where it is already warmest on the ice sheet. At the press conference, Andrew Sheperd presented research carried out by Amber Leeson, on how the location on the ice at which the supraglacial (meaning they form on the surface of the ice) lakes form might change with a warming climate and what this means for the Greenland Ice Sheet. “by 2050, the lakes have spread about 50 to 100 km further inland, so more of the ice sheet is potentially exposed to this lubrication effect,” added Shepard. This is equivalent to an estimated 48–53% increase in the area over which they are distributed across the ice sheet as a whole. Previous studies of how the ice sheet might respond to a warming climate do not consider the effects of the added melt water volume at the base of the ice sheet as a result of more lakes at the surface. Leeson’s findings mean that these models need to be re-run so that scientists can fully understand the potential implications. This is particularly true in terms of the lubrication effect at the base of the ice and whether the ice will more readily slip towards the oceans, potentially heightening the risk of sea level rise. You can stream the full press conference by following this link: http://client.cntv.at/egu2015/PC9. This blog post presents only some of the findings which were discussed during the press conference. Other aspects of this press conference where covered in the media, you can find more on those here and by following this link. Kristof Van Tricht, Gorodetskaya, I.V., L’Ecuyer, T. et al. 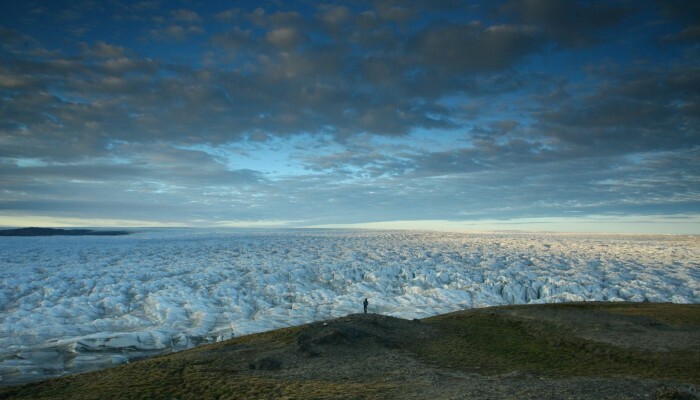 Clouds enhance Greenland ice sheet mass loss, Geophysical Research Abstracts Vol. 17, EGU2015-12737-1, 2015 (conference abstract). Amber A. Leeson, Sheperd, A., Briggs, K. et al. Supraglacial lakes on the Greenland ice sheet advance inland under warming climate, Nature Climate Change, 5, 51–55, doi:10.1038/nclimate2463, 2015. Amber A. Leeson, Sheperd, A., Briggs, K. et al. Supraglacial lakes advance inland on the Greenland ice sheet under warming climate, Geophysical Research Abstracts, Vol. 17, EGU2015-934-1, 2015 (conference abstract). I really appreciate your blog. It explains the recent and future changes in the Greenland Ice Sheet due to global warming and summer rain according to nasa’s scientists.Thank you for share this blog.